We specialise in the wellness of all women and mothers. We offer bespoke services for moms-tobe, fi rst time mothers, mothers that handle fi ve kids at a time and mothers that are grandmothers. At Mommy Wellness we have a passion for the well being of women and mothers, because a happy mommy is a happy family. At the Mommy Wellness Day Spa spa we offer a unique range of treatments for all women using only the very best products. You can enjoy some all-time favourites such as thai massage, or indulge in a rejuvenating treatment like a hydro bath. 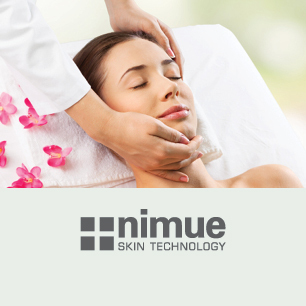 Nimue is renowned for its pioneering innovations, results and world-class formulations based on the effective combination, concentration and strength of exceptional ingredients with a scientific delivery system. Mama Mio is an anti-gravity, anti-aging, skin-elasticising, fat-busting, orange peel-zapping, toning and tightening, high-performance body care – using the very best quality ingredients at very high dosages so you can see and feel maximum benefits very quickly. Bella Roze is the first South African Spa product that is proudly South African. The product range caters specifically for pregnant moms and babies/toddlers that suffers from sensitive skin and eczema prone skin. It is a 100% natural product, free from parabens, artificial colorants. Looking for a pregnancy massage in Bahrain? Mommy Wellness believes that in the early stages of a child’s development, children will learn through their senses: eyes, ears, touch, taste and smell. Infant Massage is stroking your baby’s whole body in a loving and nurturing way, using natural oil. 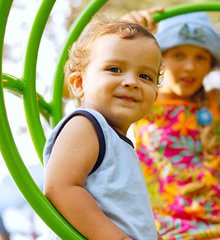 It can be done from birth and continued as your child grows.